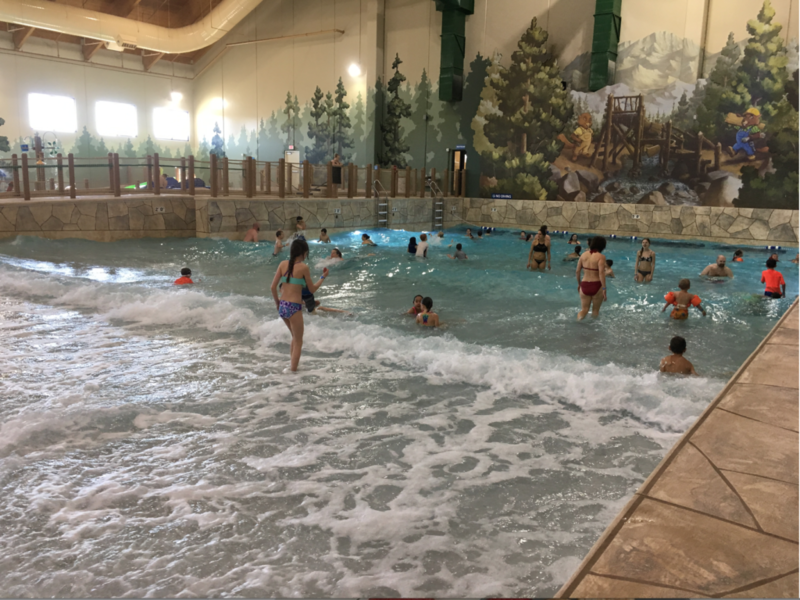 A new waterpark hotel opened in my state and we needed a break from packing boxes, so we drove an hour and a half to check out the Great Wolf Lodge Colorado Springs. 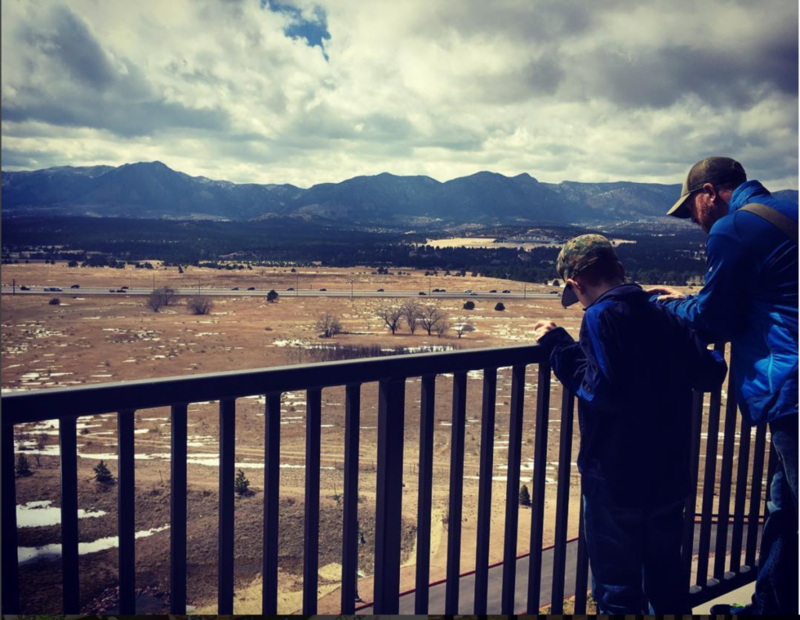 It was worth the drive for a couple of days of family fun! 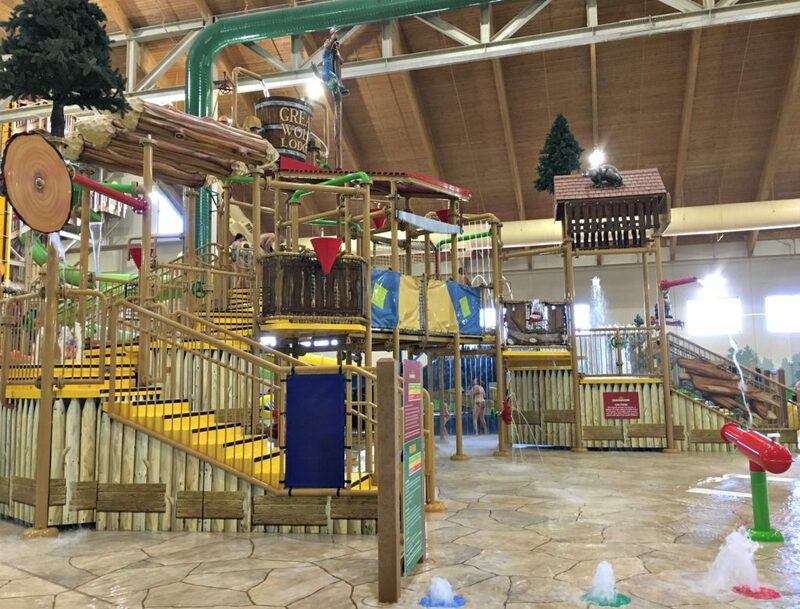 We arrived around 1pm (though I knew they wouldn’t guarantee a room until check in time at 4pm) because we could start using all the waterpark and amenities then. We walked around to give ourselves a tour and after about a half an hour our room was ready. Yes! 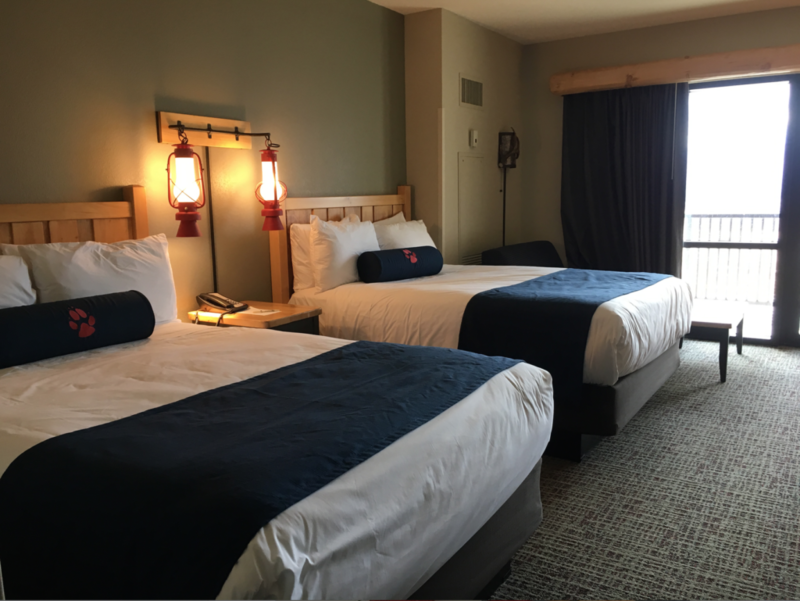 It was a cute nautical themed room with a great view of the Rocky Mountains. We weren’t going to sit around the room though, it was time to get wet! 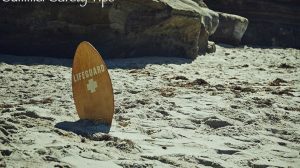 P’Diddy: Wave pool. It was hard to get him out of here to do other things. 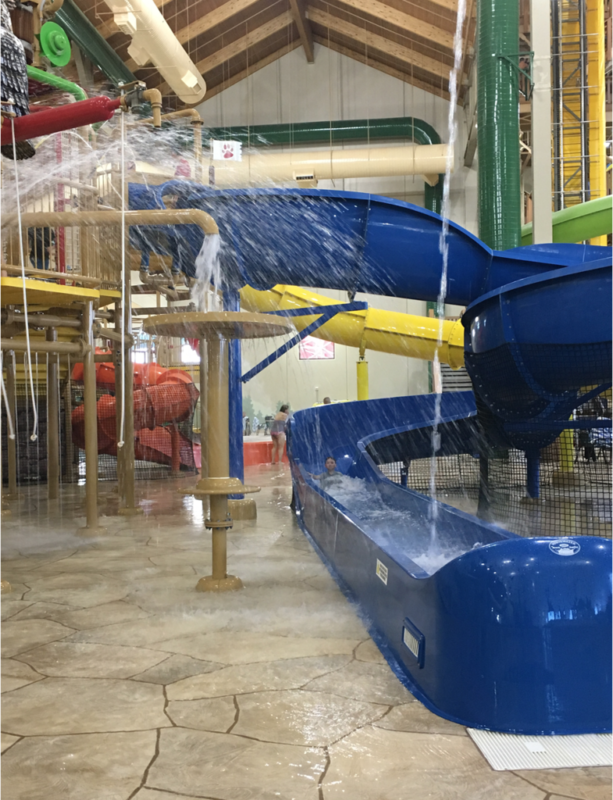 O’Bear: The waterslide where you race others to see who has the best time. 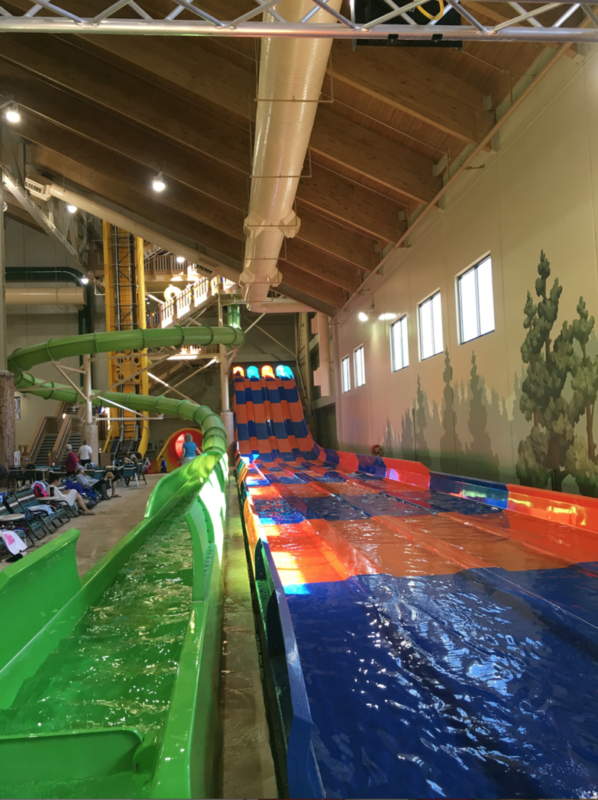 C’Man, Me, Hubby: The tornado waterslide – 4 of us could ride together to dip and fall in a tunnel of fun. I couldn’t stop laughing each time I rode it. I wish I would have taken an outside photo shot to show you the tunnel/slide! After a few hours we took showers and came back down for dinner and more activities. There were 4 restaurants to choose from and we actually split up getting our own food then meeting at one table to eat. When our tummies were full the boys played mini golf and went to the arcade for awhile. Hubby and I sat and had a drink to relax and watch. 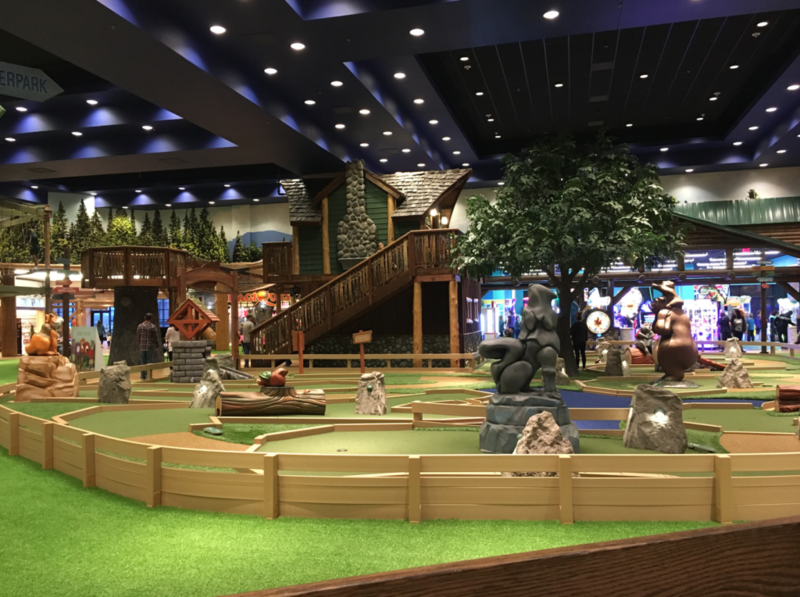 There were kids everywhere bowling, climbing the rope obstacle course, stuffing a stuffed animal, mining for rocks and playing Magiquest with magic wands. There was so much to do! The next morning we had Dunkin Donuts for breakfast – right off the lobby! – and were one of the first in line to get into the waterpark again. Checkout was at 11am, but you can spend the entire day there until closing at 9pm if you want! 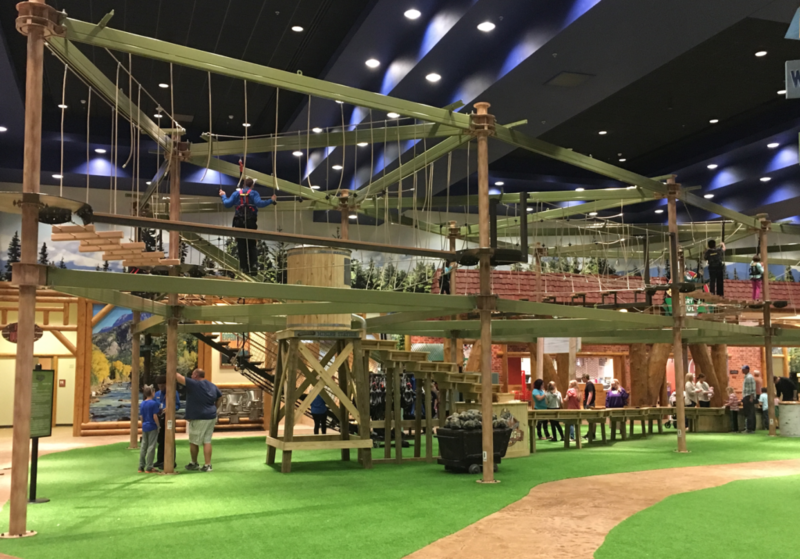 We had a fantastic 24 hours at the Great Wolf Lodge Colorado Springs and can’t wait to do it again soon! 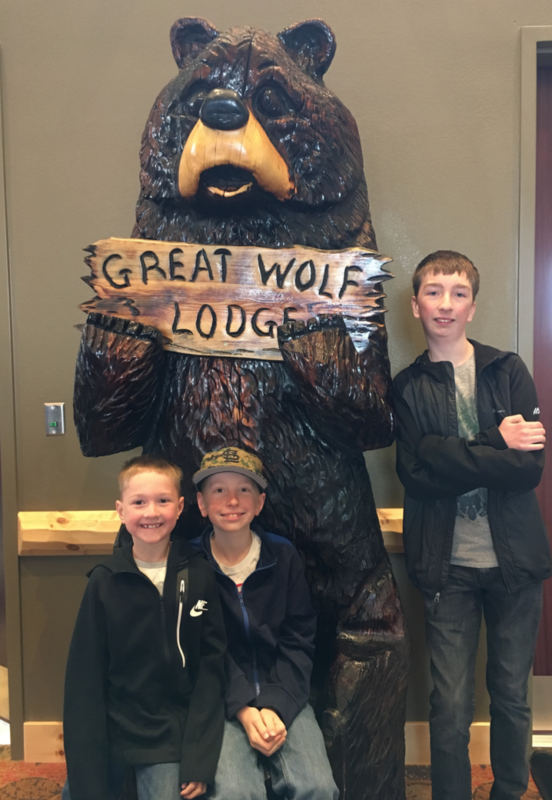 Have you visited a Great Wolf Lodge before? 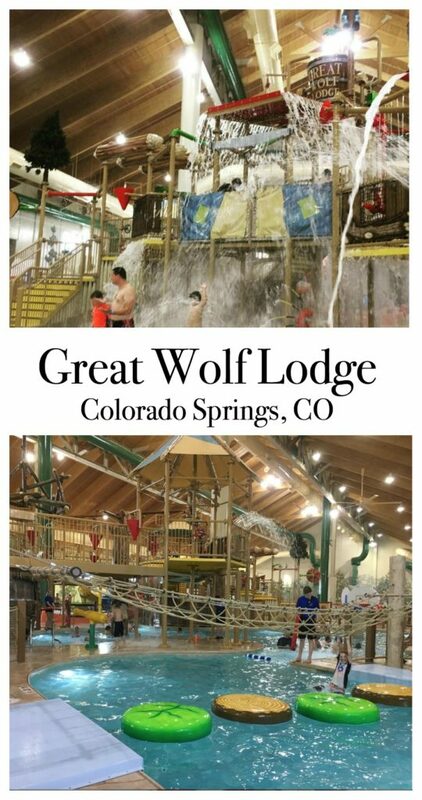 I partnered with Great Wolf Lodge Colorado Springs for a room discount. All opinions are definitely my own.